Who Is In Charge On Wednesday Night? Referee Gavin Ward from Surrey is in charge of the Millers next game which is on Wednesday at the New York Stadium when Bristol City are in town. Gavin joined the list of Assistant Referees at the start of the 2002/3 season progressing to the National List of Referees in 2007, when he officiated in the Euro 2008 qualifying game between Denmark and Liechtenstein in the September. The last time he was in the middle for a Millers game was in September 2017 in League One at Portman Road when a Jon Taylor goal on the thirty-sixth minute gave Rotherham a win over Ipswich Town and former Boss Kenny Jackett. The time before that Gavin was in charge of a Millers match was in February 2015 when Ipswich Town were the visitors to the New York Stadium. Matt Derbyshire put the Millers ahead on the thirty-eighth minute with a Conor Salmon goal on sixty-four minutes making it two-nil to the hosts. Zeki Fryers, who was on loan from Crystal Palace, saw yellow for the Millers that day. A month after the game Zeki joined Ipswich on loan until the end of the season. The time before that Gavin was at the New York Stadium was March 2014 for our two-one win over Bristol City. James Tavernier opened the scoring on just two minutes but Wade Elliott equalised for the Robins three minutes into the second half. On the hour mark another goal from Tavernier gave the Millers all three points.That season we also had him officiate our three-nil loss to Crawley Town in March. The season before Gavin had been in the middle for our FA Cup game at the EEB Stadium against Aldershot. A hat-trick from Danny Hilton for the hosts gave them a three-nil lead before Mr Ward gave the Millers a penalty which Lee Frecklington put away. Kari Arnason (84 minutes) and Hylton (85 minutes) saw red cards that day. September 2011 saw Gavin at Don Valley which saw the Millers beat visitors Dagenham and Redbridge three-one. Gareth Evans opened the scoring on eight minutes only for Scott Doe to equalise thirteen minutes later. Two goals from Lewis Grabban before half-time gave the Millers the win. Marcus Marshall of the Millers and the Daggers’ Damien McCrory were booked that day. A goalless draw away at Brentford was the game Gavin was in charge of in August 2008 with the only card of the day being a yellow for Rotherham’s Reuben Reid. The first time Gavin was in charge of a Rotherham game was at Millmoor in December 2007 where he sent off Matty Crowell of Wrexham on fourteen minutes for a two footed lunge at Millers loanee, Ian Ross. Five minutes before half-time Derek Holmes put the home side in front, getting a second on seventy-two minutes. Marc Newsham pitched in with a third ten minutes from time to give the Millers a well deserved victory. This season Gavin has shown twenty-three yellow cards in nine games. 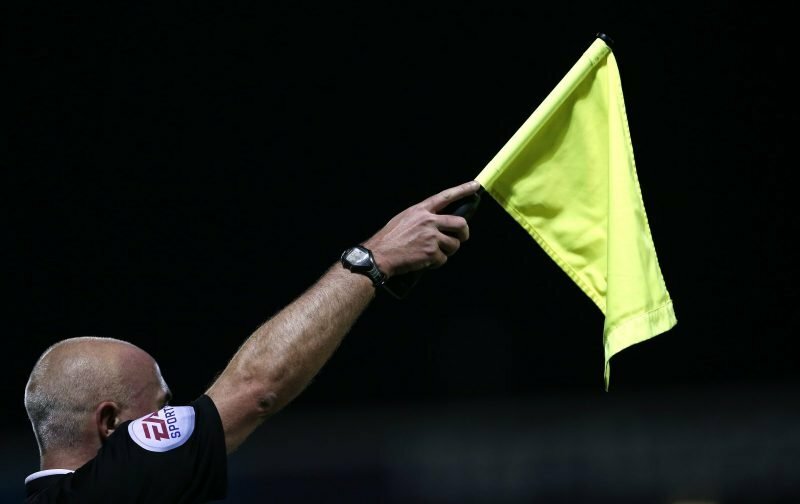 Running the line at the New York Stadium on Wednesday are Nick Greenhalgh and James Mainwaring while Andrew Madley from West Yorkshire is the Fourth Official.